It’s simple, really. Butterfield & Robinson designs and runs the world’s most immersive, inspiring and unforgettable journeys. Crafted from the finest ingredients (exceptional lodgings, incomparable insider access, stellar food and wine, and more than 50 years of experience), B&R trips combine adventure with unparalleled cultural immersion in the world’s greatest destinations. Slow Down to See the World. 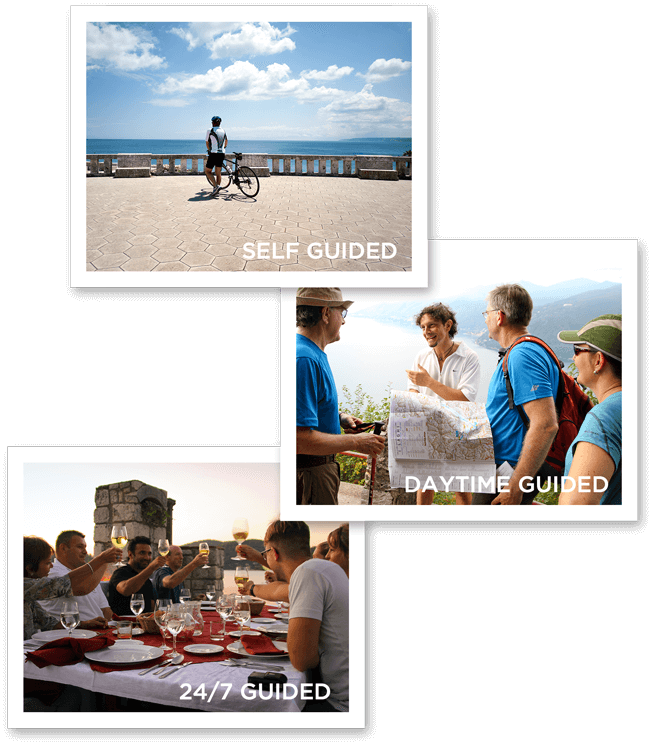 Whether you want to join us on one of our Scheduled Trips or be inspired by our Private Travel collection of Ready-to-Book and Bespoke itineraries, we have a flavour of adventure to suit every palate. Our motto is “Slow Down to See the World” because we feel the world deserves to be discovered slowly. 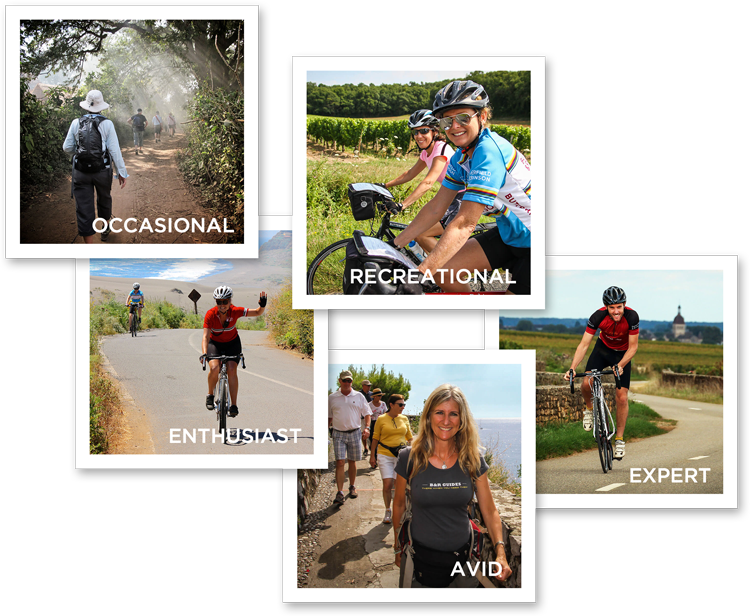 And no matter what your preferred mode of “slow” is—bike, boat or camel—rest assured that we’ve got you covered. You do not have to be an athlete in any way, shape or form. Don’t get us wrong—we like pressure. It keeps our wine corked, our bike tires firm, and our olive oil delicious. But when it comes to the journey, pressure is strictly verboten. We believe that you should go at whatever speed suits you: slow, fast, or sipping Chianti in the van. With all due respect to the Rolling Stones, we humbly disagree with them on at least one crucial point: sometimes you really can get what you want. Take B&R trips, for example. With varying levels of on-trip support to choose from, you can decide which level is right for you. Whether you want to be left to your own devices or guided each step of the way, when it comes to service, we pride ourselves on providing exactly what you want. Winning hotels are a hallmark of B&R; we go to great lengths to find properties that are unique expressions of the region: castles, ships and lux tents included. Want nights as resplendent as your days? Every Signature hotel is a stunning expression of the region. 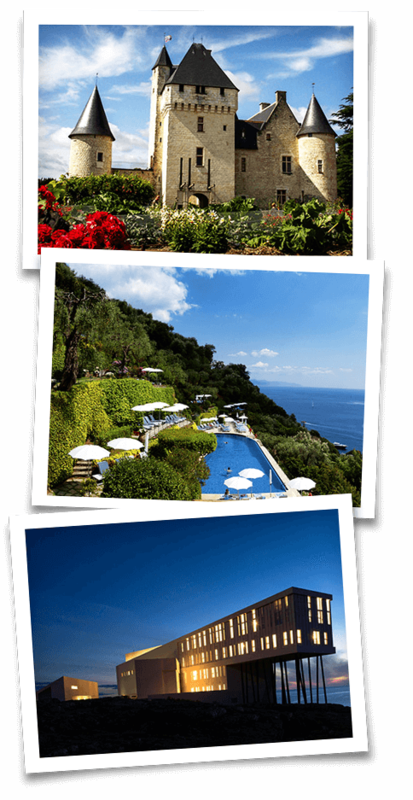 Think former castles, private windswept terraces, and a view worth swooning over. Is your holy grail a blissful night’s sleep? Our Bistro hotels are serene but a little more casual—for travellers who see hotels as a trip’s delicious antipasto, but prefer their waking experience be left as the main course. We love a fancy webpage as much as the next person (and we certainly work pretty hard on ours! ), but if you really want to find out what B&R is all about, you’ll just have to join us on trip. Use our Tripfinder to find a journey that’s right for you, and feel free to give us a call at 1-866-551-9090 if you have any questions.